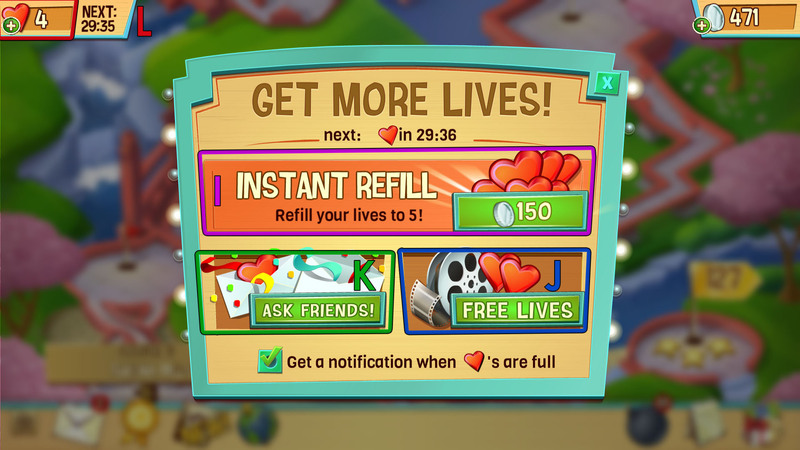 You may purchase a refill (I), watch a video for Lives (J), or ask friends for Lives (K), by selecting the heart (L). When you collect Lives from friends, do not accept them until you run out or you will lose it. Your Lives will automatically replenish after a short passage of time.